Do companies offer long term care health insurance? Home / FAQ / Do companies offer long term care health insurance? Today, more and more companies are making long term care insurance available. Long term care insurance is no longer just insurance for nursing home care, but is rather to help people live longer, more comfortably, and without draining a lifetime worth of assets. Are shopping for long term care health insurance rates ? Just enter your zip code in the box above to get quotes in your area. Long term care is considered the care of individuals who have a medical condition that will ultimately result in death. This includes prolonged illnesses such as cancer, a condition that is degenerative such as Parkinson’s disease, or a disorder that is cognitive such as dementia. What does long term care provide? Why is long term care insurance necessary? People are simply living longer and longer today than they were 30 years ago, and it is estimated the trend will continue for the next 30 years. Learn more about population trends in the country and by state at the U.S. Census website. The reason that people are living longer is because there have been more and more advances to medical care and technology. In addition, people are also more knowledgeable about healthy living habits, and this has led to longer lives. Not only are people living longer lives, but older Americans, specifically those 80 and older, are a segment that’s considered the fastest growing. While this growth in older Americans is a positive because people are living longer, it has also led to more and more people being diagnosed with certain diseases. Since more people are getting sick, more people need long term care insurance. In fact, according to a 2009 study by the Ohio State University, 52% of women and 33% of men will eventually need nursing home care. 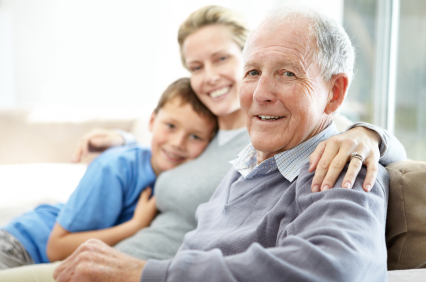 Long term care has also become more prevalent in society due to a change in philosophy of families over the years. Decades ago, older people relied on their younger family members to help care for them as they aged. Today, with a growing workforce that includes more women, and different family dynamics that have led to more divorces and separations, more of the elderly need long term care not only because of their medical condition but also because they have nowhere else to go. How much is the annual cost of long term care? According to Genworth Financial, the average cost of a one year stay in a nursing home can easily exceed $100,000. Depending on the policy and the insurance company you have, your coverage will vary. However, it is important to make sure that your coverage takes care of the basic necessities of your care and helps protect your assets and well as the assets of your children and grandchildren. When shopping around for long term care insurance, remember that the insurance company that you select must be established enough or have a plan in place to make sure it will still be in existence when you need to redeem your policy. Be careful not to insure with a less established company just to save money on your premium as that may cost more in the future. Also, make sure that you policy has an adequate daily benefit, as some nursing homes can charge more than $200 per day for care. Also, speak to your agent or company about inflation. Purchasing long term care insurance is a personal decision that should not be taken likely. It is best to talk to your family and discuss your options, as well as why you would like to purchase long term care insurance. Speaking openly and honestly about long term care insurance is the most important first step to any eventual decision. Trouble finding health insurance rates close to home? Put your zip code in the box below to get started.